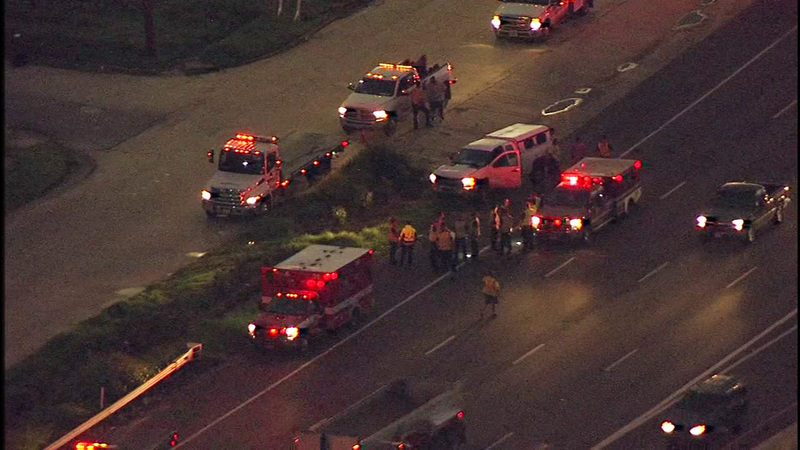 HOUSTON (KTRK) -- A pedestrian is dead after being struck by a vehicle on the North Loop West at the North Freeway exit ramp. Traffic was backed up for hours on the North Loop West and the North Freeway where the accident occurred. We hope to learn from investigators how the accident happened, and what the victim was doing on the North Loop before they died. The pedestrian's identity is not yet known.